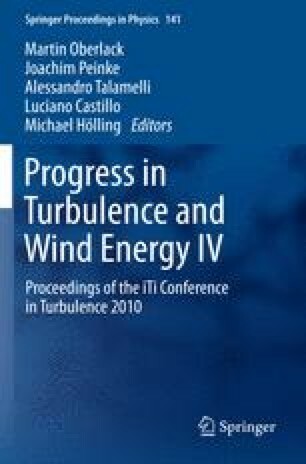 The near- and far-wake characteristics of wind turbine arrays are studied using PIV data taken from wind tunnel experiments. Proper orthogonal decomposition (POD) is employed to gain information about the energetically coherent structures present in the flow. Specifically, the structures responsible for the entrainment of turbulent kinetic energy in the near- and far-wake are explored. Furthermore, the important POD modes are determined, not only in relation to remediation of the momentum deficit, but also in relation to the extraction and dissipation of kinetic energy by the turbine.